The Rhythm City actor has finally been laid to rest, but it will take a long time for his 27-year-old widow to find peace. 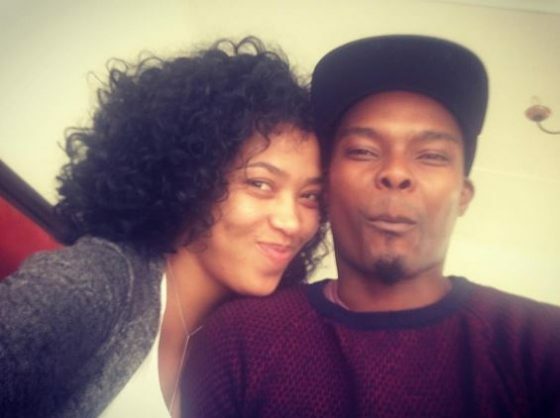 In video footage released on Twitter by TimesLive, Dumi Masilela’s widow, fellow actor Simphiwe Ngema, can be seen struggling to say goodbye to her husband. “I can’t, it hurts,” the woman popularly known as Simz could reportedly be heard crying out. Ekurhuleni Mayor Mzwandile Masina had earlier announced at the funeral of the murdered Rhythm City actor on Saturday morning that those suspected of killing him were now in custody. The funeral was taking place in Kempton Park. The Rhythm City actor died following a hijacking ordeal last week on Wednesday in Tembisa. Masilela spent the night fighting for his life in hospital after being shot during the attempted hijacking. The identities of his alleged killers are yet to be revealed but it was reported that they had apparently been on a hijacking spree on the night of the murder.